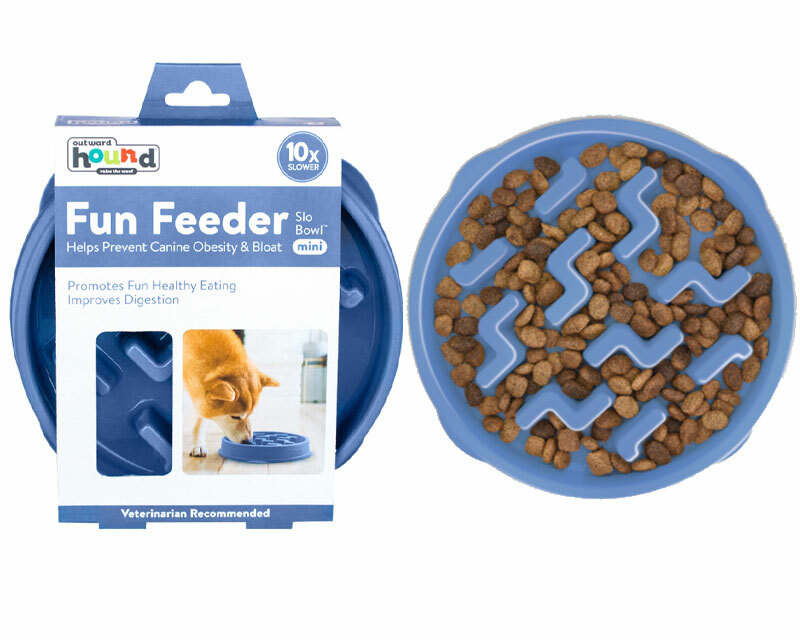 Featuring meal-lengthening ridges and mazes, Fun Feeders™ keep pups engaged for up to 10x longer at chow time, which improves digestion while helping furry friends eat at a fun, healthy pace! Has slip-resistant base to prevent sliding and food spillage. Top rack dishwasher safe, BPA, PVC & phthalate free. Holds up to 2 cups wet or dry. Measures 9.5 x 8 x 2.2. All packages shipped USPS Priority Mail.